Harlow Carr continues to be a rising star amongst the Royal Horticultural Societies Gardens. Opening in the next few weeks will be the new library and learning centre at the gardens in Harrogate. Super insulated, low energy consumption building. It will have integrated renewable energy technologies including rainwater harvesting and a grey water recycling system. A small wind turbine will provide energy to the building and a ground source heat pump will help with the minimal heating requirements. 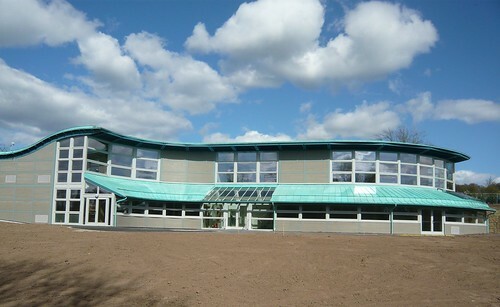 A sedum roof design to help blend the building into its surroundings and provide an insulating surface, promoting biodiversity and assisting with the absorption of carbon dioxide. • Timber from sustainable sources. These will all be incorporated by the main contractor William Birch of York. If you are interested in ‘Homes for a Changing Climate’, Will Anderson has a new book out. No Chelsea Flower Show This Year?